The Mental Capacity Act 2005, purported to empower. The Act, presumes, everyone, is capable of making a particular decision, until, there is evidence, on the balance of probabilities, by a prescribed assessment, that, they are not. As a capacity assessment, removes a person’s fundamental freedom to choose. It should only be undertaken, if ‘incapacity’ is suspected. And, must only be of a person’s ability, to make a specific decision, at the time that decision needs to be made, in his best interest. This assessment, or, suspicion of incapacity, must not be based, on a person’s mental condition and/or presentation. S1(3), and, see also s3(2) MCA. This requires, as much as possible , to be done, to maximise a person’s capacity to make the particular decision. And, to avoid Article 12 EU illegality, ‘substitute decision making’, a joint decision, should be attempted before capacity is assessed. Assessments, should take place, in a familiar place, and, be by a familiar person. With the assesse, in optimum physical, and emotional health. Unless in an emergency situation. An assessment , can only, relate to a person’s capacity, at any particular time. Capacity to make, a decision, can be regained. 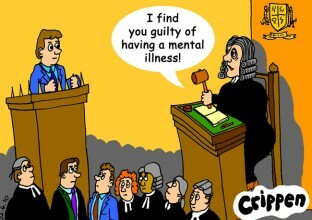 The Mental Capacity Act, is the only Act, as far as I am aware, that allows, the state, to remove a person’s autonomy. Prior to 2007, the High Court had such power, but, only if, necessary, in a person’s best interest, and, it was used, exceptionally. Decisions of the autistic, and vulnerable, were generally made by them, with the help, and, protection of their family. As early as year 9, parents, will be introduced to a person from ‘Transitions’, at their child’s SEN review. This person’s function, will not be explained, other than, autistics/ learning disabled, find ‘transition’ to adulthood difficult, and, they are there to help. At 16, your child’s full time school, is no longer funded. Despite SEN ‘Education’ funding continuing until 25. Instead, independent living, and employability skills are taught, and, a base building provided. Most children attending a special school, will automatically, be deemed ‘incapable’, of making decisions, as to their welfare, and, finances, by social workers, and GPs . As these assessments, are neither time, nor decision specific, and, usually based on their conditions of autism, and/ or, presentation, they are illegal. ‘The assessment should end if the person is unable to progress through the functional test. For example if a person cannot understand the decision they will not be able to retain it, weigh it in the balance or meaningfully communicate a decision’. All that needs to happen, is a person be asked , do you know why, you need your medication, or, do you know why you need to pay your disability allowance into your own bank account. And, show no understanding, and, their reaction noted. So, effectively, once a person has, an’ impairment of mind’, which the Act makes non- exhaustive, and extensive,Unless, they are a good communicators, with knowledge of modern procedures, and medicines, they are doomed. It must also be considered, how many non- SEN teenagers, would be able to answer such questions. As this standard LA test, is neither time, nor decision specific, needed, and, can only, if abandoned so early, be based on a person’s condition, and/or presentation, it is illegal under the Act. Protection of your child’s ‘rights’,will be tick boxed, by the appointment of his own Independent Mental Capacity Advocate. Whose only function, is to explain what is happening to him, and his rights. Quite what these rights are, is unknown, as the incapable, do not appear to have any under the Act, other than, to consultation. And, your child’s ‘Advocate’, despite his name, cannot take part, in the decision making process. At 17, you will be consulted about your child’s, away from home for life placement, but, at 18, it is ‘inappropriate’ for you to make decisions for him, and, you have no right to do so. As your child, lacks the capacity, to make his own decisions, adult social services, will make them, and, decide what placement is, in his ‘ best interests ‘. If you object, to your child living ‘independently’, or, are unhappy with the chosen placement, the LA will make an application to the Court of Protection, as your child is ‘incapable’ of choosing where he lives. If you insist he is capable, and wants to live at home, the court, will declare, your child ‘incapable’ of all decisions, past, present and future, and, that it is, in his best interests, to live in whatever placement, the LA provide. All his future decisions, will then be dictated by his Care Plan. Even down to how many baths he has, when he takes them, and, how he is cleaned. Subject to reviews, this will be, for the rest of his life. This is his ‘independence’, and, empowerment. The need for a Deprivation of Liberty Order each time a person is locked in his room or supported living facility is not required by the MCA. So, despite the Magna Carta, Human Rights Act, Equality Act, Disability Discrimination Act and United Nations Convention, millions, now, and in the future, will be encaged without due process. And, Supported/independent living, is now, the only policy, and support provided by Social Services. Extract from Hansard on no monitoring of substitute decision making by care provision. 98. There were also concerns that a decision-maker could assume too much power, and sometimes on the basis of questionable legal authority. “once a person has been deemed to lack capacity to make a decision they become vulnerable to the opinion of the decision-maker and when those decisions are not reflective of their best interests it often leaves them powerless to challenge“. This was echoed by other witnesses, who expressed concern over the use of the ‘general defence’—the term often used to describe sections 5 and 6 of the Act (Acts in connection with care or treatment and Section 5 Acts: limitations)—which provides protection from liability for carers and others to carry out acts in relation to a person who lacks capacity. The pre-legislative scrutiny committee foresaw problems with these sections, which were at the time entitled ‘the general authority’. They worried that it would wrongly give the “impression that the general authority would be assumed by a single individual who would then take all decisions on behalf of an incapacitated individual”. In response, the Government removed the term ‘general authority’ from the Bill, but concerns have persisted since implementation. Professor Phil Fennell and Dr Lucy Series described the general defence as providing “tremendous discretionary power” which was “not subject to any routine monitoring”. Liberty expressed concern about the very wide range of decisions which could be made under these sections, combined with a “worrying lack of oversight”. Profitable Retardation of the Autistic ? Learning ‘Difficulty’ conflated to ‘Disability’. Autism, despite its vague, non pathological definition. And vague criteria diagnoses- lack of imagination and social communication. Is the UK’s most costly medical condition. Because, ‘autism’ is so vague it is the ultimate cash cow. Despite treatment having little effect. And with the billions ploughed into the industry outcomes for the autistic are now dire- medication damage, early death and institutionalisation for life. The autism industry has built a lucrative empire by autism awareness, detection, and diagnosis. I always worried about the more intelligent, and/or less obedient 3 year old, who did not knock on the ‘special box’ three times, when told to, to get the toy out. Or went to find, where a toy actually was, rather than, where the other child, who had not seen it being hidden, would have, thought it was. Who were diagnosed autistic on such tests. And wondered if this really did indicate a lack of empathy?. 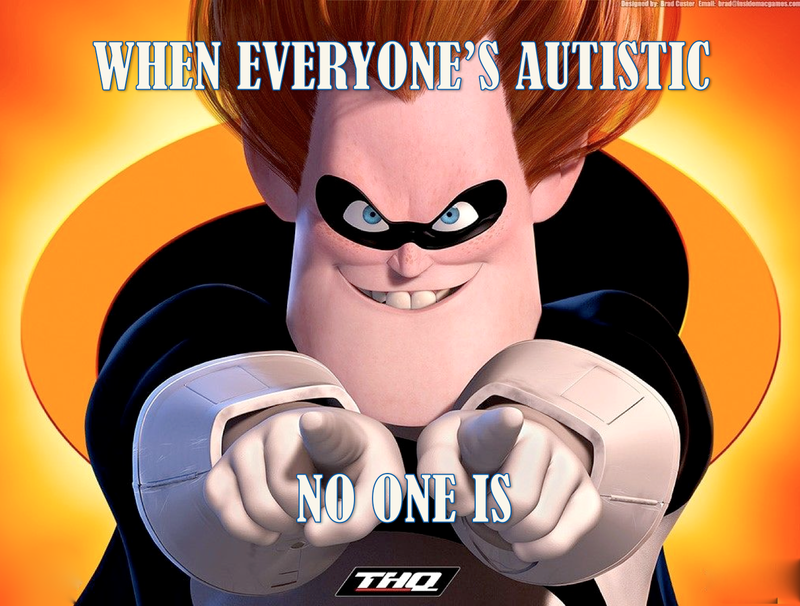 We all have autistic genes. And, those just ‘At risk ,‘ presumably with autism in their family, are singled out. At risk of what ? Something with no pathology, no definition that manifests itself on a spectrum that we are all on. The intensive hunt for the autistic mirrors that now for Alzheimers. Our ‘autism friends’, health visitors, nursery schools, GPs, CMHS, Social Services etc. The diagnosee is a lucrative captive customer, for the autism industry’s ever increasing cabal. An industry which is PR controlled, with its own experts, managers, qualifications, researchers, guidelines. That controls the research, the training, the guidelines, the tests, and, even, the definition of autism. This cabal per se, is lucrative and, as charitable, tax free, and gains more income from students, training, government, and fundraising. All singing from the same, unquestioned hymn sheet. The autistic and parents have little input nor do the outcomes for the autistic. And all are controlled by draconian Care and Court of Protection MCA orders, that can enforce any treatment/medication/residence/education the cabal want. 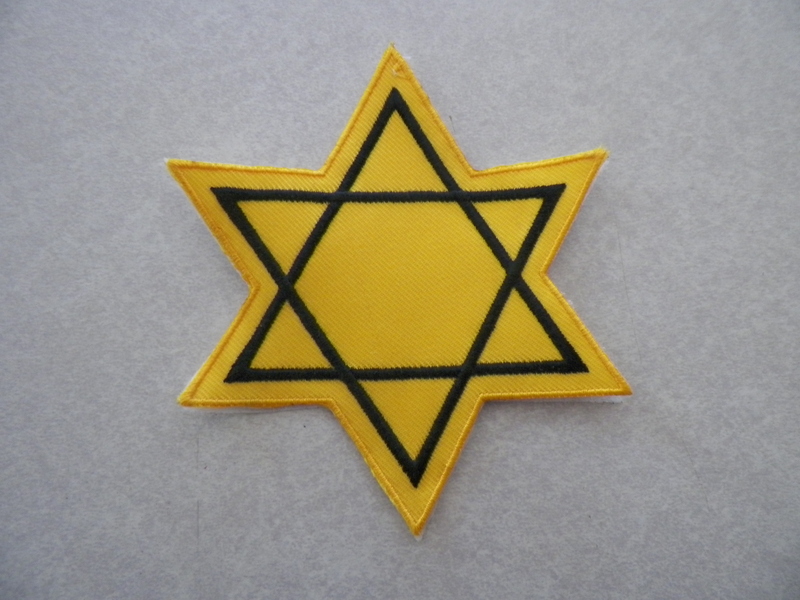 Only those few protected, as part of the cabal, or who escape diagnosis survive. For the ‘autistic’, the discrimination starts early. At 4/5, the autistic child is subject, to the same IQ tests, as, a‘normal’ child, for their EHC statement. No allowance is given for their communication and attention difference. Which will result in their IQ scores being lower than their actual intelligence..
And, no matter how high their IQ score, their autism difference will mean they will have ‘learning difficulties’. Which is then mislabelled a ‘learning disability’. No one, distinguishes, the crucial difference. Disability is the permanent intellectual impairment of having a lower than average intelligence and affects an individual’s capability. Difficulty is not an intellectual impairment just an acceptance that autism results in a child learning differently. And will need more one to one assistance, time to process information, visual aids, and flexible steps for progression. On this conflation and misunderstanding, inappropriate education is put in place. A class room assistant, may teach them, all frogs are green, but the curious intelligent autistic notices they are not. And, some basics, irrelevant to autistic processing and cannot be learnt justify presumed retardation. And, as these basics cannot be acquired because of how autistics learn they are not allowed to progress. And not encouraged to either, as ever increasing SEN, now EHC funding, would be removed from their school. ‘Learning disability’, is now termed, ‘intellectual disability’, the old ‘mental retardation’. Now deemed an ‘inapproriate’ term, as insufficiently PC. Yet, substantively/conceptually now forms the basis of an autistics persona, and education. This special needs ‘education’ goes hand in hand with behaviour charts. Such behaviour becoming progressively worse, as the boredom of thwarted curiosity and intelligence, kicks in. And ADHD, aggression, irritability results and medication is prescribed. So the autistic at as young as 5 can be made pharma cows for life. Ritlevin does not work after three years, so stronger more expense antipsychotics are used. These drugs then actually create a learning disability, pathologically by changing the pathways in the brain, so a once normal brain, with a mere learning difference due to autism becomes learning disabled. As the effect of the drug reduces thinking, observation, and motivation. So, the intelligent, could not improve, even if appropriate education were in place. Meanwhile, the special needs residential school ,charges £3,500 per week , for its own army of Speech Therapists, Educational Psychologist, Behavioural therapists and specialist teachers. And make huge profits either for venture capital or recycled to executives if Charitable. The ‘experts’ mainly manage one to one contact and containment by low wage, itinerant class room teaching assistants. Why, has no one, ever wondered why, National Autistic Residential Schools, rarely produce 16-18 year old autistics, with a single GCSE? After, the equivalent of 5 Eton students fees,of ‘specialist’ input? Because the autistic are now not taught to National Curriculum in specialist schools, but to specially created P Scale assessment. At 16, under ECHs schools are no longer funded, instead ‘education packages’ for life skills to train the autistic for their 24/7 surveillance captivity, in ‘independent of family/ community living’ are funded, and this money can be claimed, by usually residential provider until the autistic is 25. The autistics’, lack of adaptive skills, tying a shoe lace, changing a battery, organising cupboards, using machines, following instructions, continues the myth of retardation. https://iancommunity.org/ssc/autism-adaptive-skills. CAMHS treatment and assessment Units require an IQ of 50, or less, yet, there main occupants are non verbal autistics. The ‘treatment’ consists of antipsychotic medication (illegal, as not short term severe behaviour) which acts as a major neuro depressant/tranquiliser. Until, at 18, the final insult. A mental capacity assessor, will deem, on an autistic’s sad lifetime achievements, of at most P scales, and, few adaptive skills. The MCA assessment will be on adeptive skills not cognitive ability . The, particularly non verbal autistic, will now be labelled ’ severely intellectually disabled’, regardless of previous IQ . This label aids, an illegal blanket capacity assessment, that the autistic are so intellectuality impaired, they were never, and will never be, capable of making any decisions. And , allows the state commissioned, private/charity sector provision, to earn £4,000 per week, for their lifetime encagement, in their ‘best interests’. Why are mental health patients herded to St. Andrews, in Northampton ? Adults and children, are being, forcefully herded, under MHA section/’best interests’ MCA, from all over the UK, to St Andrews Northampton, on the pretext, of no local provision. The government policy is to phase out all NHS public mental health hospital admissions by 2017, so all will be private. Anticipating this multimillion pound units were built at St Andrews to accommodate hundreds of under 18s. Here is a BIJ investigation into their under 18 provision of 110 beds each charging a minimum of £220,000 a year tax free and parents forced to pay top up fees on top for basic facilities. 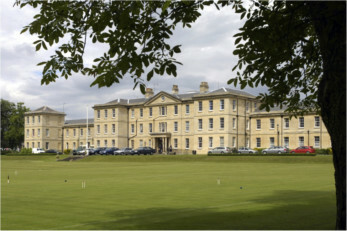 St Andrews has the largest under 18 mental facility in Europe. Large means more efficient and therefore more profitable. NHS England are paying this ‘charity’, £5,000, minimum, and yearly increasing, public money per week for each patient. If under 25, more money can be claimed now under education funding. Bi polar Sophie is a beautiful 21 year old ‘bi polar’ patient whose Mum has a facebook and Petition to the PM for her release . Please sign. Read the sad story, of a mother miles from her 13 year old autistic daughter Maesie. Tom Costello, at 72, found himself being driven 100 miles from Hampstead, against his, and his family’s wishes, and detained illegally, for four months, because, St Andrews, was the only place, his difficulty, with the, most common form of dementia, could be contained. A dementia spokeswoman commented, that such a patient, should be able to be treated at home. And, Tom would still be in St Andrews, but, for his family, and high profile. Tianze, a high functioning autistic, poet, and piano player’s risperidol, was stopped at 16, when he started lactating, resulting in violent episodes. When Tianze refused an assessment, he was forcefully removed, to Westlane Hospital Middlesbrough, 200 miles, from his home in Scotland. He was to be sent to St Andrews, even further away, but campaigning, and publicity, appeared to have averted this move. But, despite a tireless campaign by his parents, he was not returned to Scotland, and, they had to sell their home, and company, to live near him. Tianze,is 18 next month, and despite a home care package, and promise of a return to the love of his family, another, adult hospital has been recommended. Leo Andrade-Martinez’s 17 year old son, was placed in St Andrews. What local provision, would be needed, for the learning disabled, self- harming, common dementia, the autistic, or, those suffering the after effects of a recent brain injury? And how much of this behaviour is actually caused by the medication the patients are put on ? Autism, is not a mental illness, but at most a development difference yet it has recently be placed with learning disability in the Mental Health Act. What these people need and would cost far less is a local NHS short stay, medication, if necessary, and then to be returned home to their family, where they can be individually monitored by, an independent of, a recycled profit making cabal? Since when, did a learning disability/autistism/head injury, allow sectioning, under the MHA, or, incapacity encagement for life under the MCA ? And warrant, the building of Europe’s largest, 16-18 year old residential unit ? Since, it was realised, huge, stable, unaccountable profit from public funds, could be made by the mental health industry. It costs the NHS at least £5,000 per week often much more per patient, for St Andrews commissioned care, which from CQR. and inspections is understaffed. Here is a you tube video of a young autistic man sent from Spectrum to St Andrews, he describes the very painful restraints and encagement he suffered. The National Audit Office produced a report, 4 years after the Winterbourne abuse was revealed by uncover media. ‘The scale of the problem remains unchanged. According to the HSCIC census, there were 3,230 hospital in-patients with learning disabilities, autism and or challenging behaviour on 30 September 2014, with an average length of stay of 547 days and living an average 34.4km from home. In 2013, equivalent figures were 3,250 in-patients (though this may have been an underestimate), 542 days and 34.5km. Doctors take an oath, ‘to do no harm’. Yet, those ‘treating’ patients in St Andrews, use largely unproven, unnecessary medication. Producing, apparently, little other than sedation and greatly worsening the patients mental and physical condition and quality of life..
Side effects of medication, can cause great harm, and,result in mental illness, and even death. The physical health of the patients is not monitored, other than a routine by nurse health check, which, if any resistance is shown, is tick boxed refused. Even were deaths on similar medication, and symptoms on the same ward occur , these are not even discussed, or prevention taken to avoid further deaths. Long term patients, will be subject to similar health concerns, as if, they were not mentally disabled. And, are in a far more vulnerable position, because, they cannot describe their symptoms, and, the effects of their medication. The anguish of pain, is indistinguishable from mental disturbance. And, often made impossible by medication. They will be given no pain killers, and may spend years in excruciating pain. As my daughter did, with poo up to her chest internally, treated with Risperidol. How must those in St Andrew’s, who died in similar circumstances have suffered? Such vulnerable patients, need extra vigilant ,medical attention, not nursing oversight, easily refused. That is why last year a staggering 1400 learning disabled died last year, probably more this year. That is 3 a day. And, at least £7,000 and up to £13,000 per week, is paid for their care, the NHS is certainly paying for it. “Overall we rated St Andrew’s Healthcare as Requires Improvement. “Many of the children and young people admitted to St Andrew’s Healthcare have severe mental health problems and have a history of behaviour that has put themselves or others at risk. Despite that, we were surprised at the number of occasions when staff had resorted to physical restraint. The staff at St Andrew’s Healthcare must ensure that when restraint is used it is by the safest means to minimise the possibility of harm to the patient. “St Andrew’s Healthcare has had difficulty recruiting nursing staff and many posts were vacant. It has been relying heavily on the on the use of agency and bank nurses “The service has given us assurances that it is making the necessary improvements and we have already witnessed some of these in action. An inquest into the death of 41 year old William Johnson who had lived in St Andrews for 18 years, heard 3 other men on his ward had predeceased him, exhibiting similar symptoms and on the similar medication. The first death was on October 23rd 2010, second March 31st 2011, third April 3rd 2011 and then, Mr Johnson on May 31st 2011. 4 deaths, half the 8 bedded ward, in just 8 months. This ward was costing the tax payer £ 36,000 per week tax free. I think this figure needs to be revised if this as I think it was a locked/secure ward where the standard fee for mental treatment is now £13,000 per week. So back then the figure was likely to be nearer a staggering £96,000 per week. A Coroner, delivered a narrative verdict on Mr Johnson’s death. And he refused to reopen the inquest. The only other inquest into the previous deaths had recorded death by ‘natural causes’. Despite Mr Johnson’s similar medication and similar physical symptoms. Yet ‘Parallels’ between the deaths were noted by the inquest. However, Dr Aromolaram was made aware, of the second, and, third deaths, on his becoming a member of the ward ‘team’. As his organs, slowly, filled up with a faeces impaction, a common condition in the autistic per se and a side effect of the high dosages of at least two different antipsychotics. “There were no discussions. No talks at all about those deaths that I was involved in”. All men were medicated with clozaphine which is known to cause constipation. So, the managing doctor, of an 8 bedded ward where 3 deaths had already occurred in only 7 months before he became part of the ward management team was not informed of the first death, nor discussed the similarities of the second and third. Nor, even, more crucially, did the doctor connect this latest death with the two deaths, less than 2 months before William Johnson, who like William would have been presumably also ‘vomiting up large amounts of body salts’. And, worse stilldespite a 3rd death, the hospital appeared to have taken no precautions, to find out the reasons, nor change the treatment of the others in the ward. The medication was continued in the same high dosage to people incapacitated, throwing up permanently in bed. How can this be ‘treatment’ ? And why did no one check on the physical health of these successively dying men as they were obviously seriously ill, throwing up and no doubt in constant agony. The ‘hospital’ being paid a small fortune likely over £80,000 per week. The doctor gave evidence, that it had been impossible even to ‘try’ to examine Mr Johnson’s abdomen during a ‘routine’ health check as he would not let the examination proceed. How likely is it that a man, bed ridden full of chemical coshes, vomiting up salt, would/ could/should have not allowed a hand on his bowel area easily able to pick up such a serious impaction, which should in any event, should have been picked up from vomiting salt, the side effects of medication and three previous deaths in similar circumstances in less than 8 months ? And if continual medication can be enforced why not a life saving examination ? Did no one ask why all these men were vomiting up body salts ? And, in any event, would such a ‘routine’ health check have checked for and detected an impaction. ? And, why, was only a ‘routine’ health check, thought sufficient, when this man was obviously dying, in the same manner, in the same ward, as his 3 fellow ward occupants, in quick succession ?. How many ‘routine’ health checks, are tick boxed refused, and, who actually performs them ? On this basic safety/ care issue, staggeringly, Dr Aromolaram, was not aware of any hospital strategy in place, if a health check was refused. The tax payer, was, paying at least £9,000 per week for this ‘treatment’, when charitable tax exemption is factored in. We do not know the figures that is charged and paid for with our public money. The Priory and Cygnet charge a minimum of £900 per night and up to £12,500 a week for an autistic 15 year old in an acute mental health bed. St Andrews, had a turnover of £187.5million in 2013/14. And, its chief executive at the time was earning £675,000 per annum. The service was private, and commissioned and paid for by NHS England. 3 learning disabled, a day, died of inadequate NHS care, last year- that’s a staggering 1200, and, it was probably more this year. And, billions of profit has been made from their care. Care Quality Commission Report 2014 see summary – Requires Improvement. ‘ the diagnosis and treatment of mental diseases’. ‘Disease’ as a concept can only be defined in terms of its pathology. Pathology diagnoses disease from changes in cells, tissues, and body fluids. Not even Schizophrenia, or psychosis, let alone, the recently created 375 mental ‘disorders’ have any pathology and therefore cannot be ‘diseases’. And psychiatrists have had to admit to this. Once a putative disease, that has a pathology like neurosyphilis, is diagnosed, it then becomes a physical not a mental disease. The use today, of socially ‘acceptable’ conduct/behaviour, as the main diagnosis of mental ‘diseases’, is akin to its historic use, that categorised homosexuality as a disease of the brain. And institutionalised unmarried mothers as social deviants. And, the side effects of this ‘disease cure’, itself, then causes pathological changes in brain and body and even death. We are insidiously brainwashed by TV soap operas, like Coronation St to believe, that these ‘diseases’, like depression/ADHD are common, and can be miraculously cured by drugs. Such medication, at best turn us into human robots, unable to emphasise or feel, or, at worst, has side effects, that will then be treated, with more dangerous magic bullets. Rarely, are they the solution, except for a very short time preferably with counselling. And their use, boosting the pharma industry, and our economy, motivated, by unregulated profit. The following blog comments, received from two mothers are just two of the millions affected. Theirs, and their child’s horror, speaks for itself. ‘My son has been taking Carbamazepine for 25 years, and Lamotrogine for 19 years. Both are anticonvulsants. Both also used has mood enhancers for people suffering with Bi-Polar My son has cerebral palsy, mostly down his left side and a learning disability. My son was 17 when he was diagnosed with epilepsy after a hip operation. He was medicated on Carbamazapine, and for 5 years was seizure free. We were coming to the decision to start taking them away, when he started having startle jumps whenever there was a loud noise or someone knocked against him. Sometimes these jumps led into a full blown seizure (tonic clonic). It was then that he was medicated with Lamotrigine. Six months later he was getting moody and distressed. We did not realize then that Lamotrigine effected peoples moods. We were given help from psychologists. In 2008 his seizures stopped. About the same time he was having aggressive outbursts and refusing to do anything or go anywhere. Sometimes they lasted for a few days, sometimes longer. At this time the day services in our borough were being pared down and outsourced to private companies. A disaster for him and many others. Anyway in late 2012 we started to reduce his carbamazepine (he was on 1000mg daily). Carbamazepine is an enzyme inducer. Any drug taken with Carbamazepine (Lamotrigine) would automatically begin to get stronger when you start to reduce CBZ. I reminded the psychiatrist of this but he ignored me. Perhaps he thought I was talking out of turn? The result was that a month after he was free of CBZ (in Jan 2014) he started to have terrible frightening hallucinations. He was terrified. He could not sleep. He was so scared. We contacted his psychiatrist who said that he had never come across this type of reaction before but he believed my son was having a interictal reaction to his withdrawal of CBZ. I argued that he was most probably having a toxic reaction to Lamotrigine. His psychiatrist reinstated 400mg of carbamazepine.in two weeks. He recoverd for 3 weeks and then went back to be psychotic again but this time with the added side effect of ‘freeezing’ in the middle of doing anything. He would suddenly stop like a statue. Telemetry showed no sign of any seizure activity. We have now began the long haul of getting rid all his medication. Lamotrigine is gone. We are now down to 400mg of CBZ. Carbamazepine has wrecked my son’s bones. He has osteoporosis. He has reduced white blood cells. (leucopenia). Both known side effects. He has little purple mauve spots on his body. Another known side effect which has been ignored by his psychiatrist. His psychiatrist suggested a while ago that my son should take biphosphonates to strengthen his bones. We refused, as we said we would not know if the drug would harm him, or if he was experiencing any side effects. In America the drug company Merck was being sued by patients suffering with necrosis of the jaw and cancer of the oesophagus after being on this drug. The doctor said if it could be proved that my son lacked capacity it could be taken out of our hands. This is why we cannot trust or like this doctor. The doctor claims that my son is not suffering from withdrawal symptoms because antiepileptics have no known withdrawal symptoms. He has reminded us however that they are mood enhancers. We reminded him that our son was not mentally ill when he was given antiepileptic drugs. My research tells me that Carbamazapine is related to the tricyclic group of drugs, which are antidepressants. There are withdrawal symptoms with antidepressants, especially if you have been on them for many years. prescribers identify drugs according to the conditions that they are being used to treat rather than by their pharmacological category or characteristics, including their impact on the brain. He also in his book refers to articles by Dr. Joanna Moncrieff. I deplore that many of our children and loved ones are being used by the pharma and psychiatrist world as some sort of learning curve. My son and many like him cannot fully explain what side effects they are having. Thank you Finola for exposing these cruel practices… ‘. Another Mother, Cynthia Bartlett, wrote tragically of her son Charlie;. ‘ My son, Charlie, died two years ago of what I believe to be side effects from Risperdal given from age 15 until a few months before his death ay age 24. I am really trying to start and do an investigative journalism piece on just this…Risperdal is routinely handed out here in Canada to children with autism. I see one boy (on risperdal since age eight) in our small town, going down, exactly as my son did, starting with a strange gait and then rapid onset dystonia, losing swallowing and then dying from choking in the middle of the night. I have accompanied the family to the neurologist to no avail’. Our government, is at present debating, and, determined to introduce, an Assisted Suicide Act, legalising euthanasia. One of its clauses, could be, that if, all the MCA ‘incapable’, would have decided, to end their life, were they capable, the state can end it, for them. Even, their body parts, can be used under MCA regulations. This will mean no inquests, into why they died, even court deracinated family, need not be told of their death. Parents of the MCA disappeared are not even afforded notification and a funeral. There is no closure on parents’ lifetime horror of wondering what is happening or has happened to their child. Today, literally by now thousands of autistics and LD are holed up in private NHS ‘hospitals’ and private care homes like Winterbourne View some managing to survive for decades. All a statistic earning £4,500, for 24/7 surveillance, and medication. What physical and mental state will they be in by now? Imagine, the permanent effects of the long term drugs, they have been pumped full of, the horror is too much to contemplate but they and their families must daily. There are no future services/ life, for autistics, and, mentally disordered, except, as such encaged, cash cows. The corporate/charity ‘independent’ living providers, need drugs, to enforce their ‘support’, as the system, does not allow, for individual care. ‘Raze out the written troubles of the brain. And the autistic and learning disabled are not mentally ill. But, these wise words were before big pharma and the realisation of the gold mine of mental disability. A Parents of special educational needs children including those labelled autistic be warned this may be your fate. The state are creating and labelling children as having a learning disability rather than a difficulty. See the latest number here. There are several databases used to share information illegally under Data Protection Act and s8 HRA to harvest children including future criminals. Whereas a learning ‘difficulty‘ is not inate, and can be because a child is autistic ( learns differently), a late developer, has poor teaching/assessment or taught in a second language, such a child will have at least an average IQ. . So if your child is a late developer autistic, has inadequate teaching he labelled and doomed to be a cash cow for life. Unless he is part of the labelling state cabal. Or in private education as they do not have the EHC system. Education, Health, and Care Statements replaced Special Educational Needs statements last year. Education, Health and Care statements unlike SEN, require social services to monitor your child’s ‘welfare’. A school protection officer/ social worker will now be part of your life. Invasive IT Databases are being provided by CAPITA at 2016 see link. In breach of HRA and Data Protection, to target families at risk in schools without their permission or even knowledge. Your child will be in this system and by it watched covertly by every agent of the state. Read here the law and databases used to target the ‘disabled’ and their families by all agents of the state. And, despite the inherent difficulties of coping with an autistic./ different child. Any bruise, scratch, dirt, swear word, behaviour issue, sexualised behaviour, weight loss/gain, head lice, old /inappropriate/clothing, emotional problem, parents relationship, lateness, rearrangement of meeting, attitude,comments, will be noted. But you will be unaware you are under their microscope. And have no right of reply or correction of their databases. You will be impressed everyone is taking such an interest. Ignorant of why, your child really is, so ‘special’. In June 2016 the government announced millions would be given to provide early intervention before crisis point. This means those merely ‘at risk’ will also be targeted ie the poor, or those with relatives with special needs. Education ‘pathways‘ are used to harvest as many as possible to private eventually venture capital education and care . This intelligence gathering can be used to enforce any medication, therapy, schooling, or silence your complaints, via care proceeding or threat of them. And serves as a file of historic ‘concerns’ of parental abuse/neglect/capacity, and/or future, Court of Protection LA evidence, that it is in your 18+ child’s ‘best interests’ to be removed to community living for life, and your access limited and/or excluded. Under EHC statements, your child can no longer attend a day school at 16, nor use overnight respite facilities. Consisting of agency workers, escorting him to ad hoc skills facilities, overseen by a package boss. Who, unknown to you are briefed on ‘your family’s file’ and will continue to monitor your child’s ‘welfare’. Their goal, is ‘independent’, away from home living and is likely, to result, in a cash bonus, or, at least, more lucrative education packages from the LA. ‘Education’ will discuss leaving Mummy and Daddy, with your child. Regardless of the effect or yours or his wishes. And, you may not be told. At 18, all services are funded by Adult Services. A new private industry being bought up by monopoly venture capital US companies like Cygnet who own CAMBIAN with over 160 home sites. ‘The MODEL OF CARE, is increasingly one, which promotes INDEPENDENCE, and MANAGERS RISK.’ ( Code for ‘community’/supported living). Pressure, will be placed on the LA, to transfer adult funding to central government funding, which is only available, for residential Provision. Does the plan promote independence including identifying goals that could result in reducing paid support within an agreed period ? Your child because of his learning difficulty will be treated as a ‘child in need’ under s17 Childrens Act. Children in need meetings will be held with the education package, and, safeguarding issues raised,- hygiene, clothing, food, parenting, medical and dental attendance, physical, sexual emotional abuse, and, placed in social services core assessments. As, the LA funding can only decide, it is in your child’s ‘best interests’, to live away from you, and, your access limited, little in your favour, will be recorded. No matter, how unfairly skewed against you, even if factually incorrect, it appears impossible, to change these assessments, and, relay the correct information to professionals, and agencies. The difficultly posed by your child’s disability, or, the inadequacy of support will not be considered. The LA commission the services, and, it is liable, if inadequate. Your ability to safeguard, parent, clean your home, and not neglect your child, will be judged, as if your child, were not disabled. Will be reported back, by support workers. Whilst, your child’s disability, will not be considered, in assessing your parental capacity. To enable the maximum to be claimed from public funds to be paid to private independent/community living providers. The worse your child’s behave becomes or is made to appear, the greater the income the independent/supported living provider can claim. This also is used as evidence you are unable to cope, and it is in his ‘best interests’ he to be removed. If you do get support, it will not be charged to help you, other than engage with your child. But, support will be charged, to assess your capability, as a parent, and, whether you have a safe, clean, adequate home environment. Regular meeting s behind your back, will be held, between the social services, education, and, agency worker provider, who have ‘your file’. Your family, and child, will be whatever, they, in secret, decide. Any information, you provide to workers/professionals, about your child, that does not fit the cabal’s purpose, of abuse, and neglect, safeguarding concerns will be ignored. Support workers, on zero hour, minimum wage contracts, will be briefed, on the questions, to ask, and, matters to look out for. Your family GP, will also be part of the canal, and, despite confidentiality restrictions, both, your child’s medical records, and yours, will be shared. Anything, that points to present or future parental physical, or mental incapacity, will be used to show, it is in your child’s ‘best interests’, to be removed to ‘independent’ living. To possibly gain support, as a carer, or, any respite, cleaning etc, you will have to undergo a Carer’s assessment. This is used to probe, every aspect of your physical and mental ‘wellbeing’. But, the LA are not under a duty, to provide support, and, have no funds to do so. ‘Concerns’, from support/education workers, are relayed to social services. And sought expressly, by leading questioning. And covertly, by tricks and grooming. You will consider them all your friends, until without notice they disappear. They will not raise their concerns with you. And, show, it is in his ‘best interests’, to be removed from you and your contact limited. You will only discover, their ‘concerns’, on reading your social worker’s court statement, in support of s48 Mental Capacity Act Interim application to the Court of Protection. Your child will be forced, if necessary, by a court order, to undergo a psychological assessment, paid for by the LA. This will assess, any deemed emotional abuse your child is subjected to at home, and a blanket, illegal capacity test. This will state, that due to your child’s ‘intellectual disability’, he is, and has always been, unable to make any decisions. Your child has now been made, the perfect commodity for life, for the multibillion pound, unaccountable, independent living industry. Where he is safely behind the closed doors of the state where abuse or even death is not investigated. Your GP, will look for signs of neglect, weight loss, bed sores, skin conditions, abuse, and self -harm. If you proffer other causes, this may be evidence of fabricated disorder/ Munchausen. Your GP, will be instructed by the Court of Protection, to do a physical examination of your child, under s49 MCA, whether necessary, or not, and, any other assessments. And, regardless of the distress, it causes. His letter of instruction, will state, that the LA have concerns, and, that you have denied access, to your child, weather proved, or not. Once the Court, becomes involved, any support workers, will become overt assessors. All care agencies, and day centres, are funded by the LA, and therefore, controlled by them. And as, ‘independent’ away from home living, is now the LA’s, only policy, for adult social care, all feed into it. Here is an OFSTED report in 2016 showing the shambles SEN is in there. 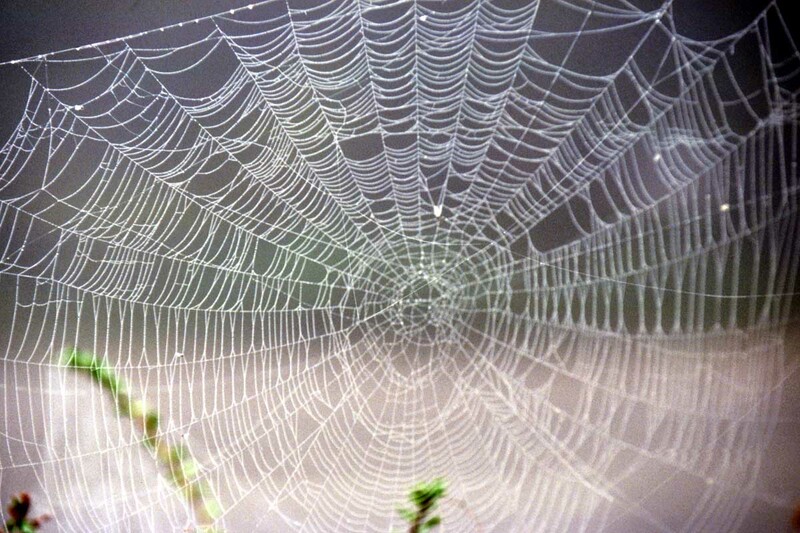 You, and your child are flies in a sealed LA web. The government’s Transforming Care document proposes early intervention for the autistic and learning disabled who evidence ‘challenging behaviour and contains the following statistics;. There are an estimated 1.2 million people in England, of which 286,000 are children and young people under the age of 18, with a learning disability (Emerson et al. 2012). 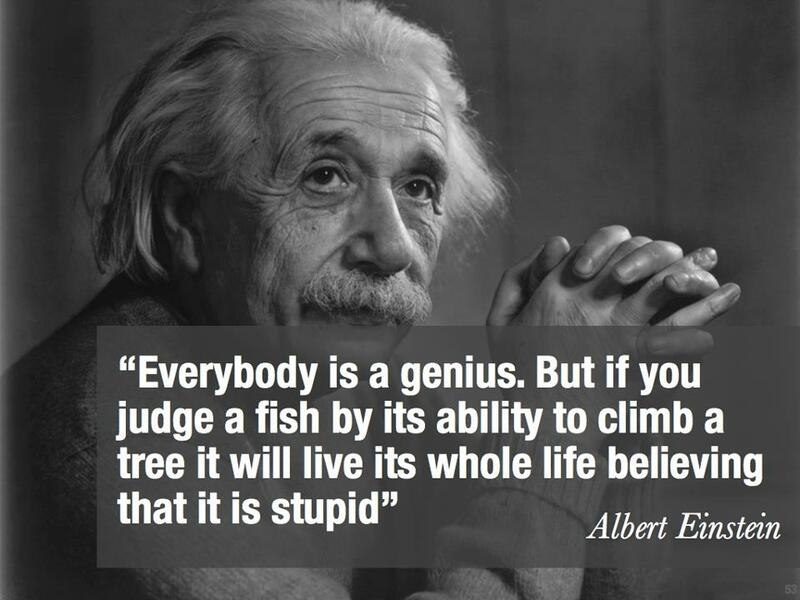 This means that roughly 20 people in every thousand have a learning disability (2-3% of the general population). The majority live their lives without support from specialist learning disability services – for instance, of the roughly 1 million adults with a learning disability, it is estimated that 189,000 (21%) (Emerson et al. 2012) are known to learning disability services. There are an estimated 700,000 people with autism in England (Brugha et al. 2012) of which 125,000 are children and young people under the age of 18 (Baird et al. 2006). This means that roughly 11 people in every thousand have autism (1.1% of the general population). It is estimated that 44%-52% of people with autism also have a learning disability (Emerson et al. 2010). Those who display behaviour that challenges Challenging behaviours are generally understood to be exhibited by 10-15% of adults with learning disabilities known to services (approx. 22-34,000 people), whilst often peaking between the ages of 20-49 (Emerson et al. 2001). A further 40,000 of children under the age of 18 are believed to display challenging behaviour (Emerson et al 2014). “of such an intensity, frequency or duration as to threaten the quality of life and/or the physical safety of the individual or others and is likely to lead to responses that are restrictive, aversive or result in exclusion”. Determined to harvest your child. The Mental Capacity Act in practice -emancipated or insentient? 8 years ago, the Mental Capacity Act was, supposedly implemented to provide a ’ legal’ framework, to empower, and emancipate, the incapables’ ‘decision making’. No. See House of Lords Select Committee report. The Local Authority strategy, to remove all suspected ‘incapables’ to private for profit state care, increased rapidly, after 2007. Whereas, now the Court rubber stamps removal. As analysed in previous posts, it is functionally, very difficult, to legally comply with s1 of the Act, and, empower the vulnerable. And this has not happened, as the Act is being used to remove all decisions from the vulnerable and their parents. From this, we can only conclude, the real reason for the Act, was to enforce private profit institutional ‘care’ for life away from family and effectively any real community. Such care, would have huge benefits, for the government, and LAs. The LA, gets the old, disabled, and vulnerable off their books, eradicating the need for adult care. Social workers, are used as enforcers, and then, replaced by care managers, who merely oversee private provision they have commissioned and would be liable for if inadequate. LA budgets, do not then, have to be used on continuing home support. Private profit care, benefits the government, as, public money, available, to the disabled and their families, under the Chronically Sick and Disabled Act 1970, can instead be used by venture capitalists, and businesses, to make profit, from social care, fuelling economic growth. LA budget cuts, purporting to reduce the UK deficit, actually increase it, by payment of huge sums to private care providers . The market for such care, is ever extended, now to those which learning disabilities, and behavioural problems, to maximise the potential consumer base. Capacity/ability to make a decision is assessed routinely, and covertly. The Care Act 2014, implemented last month, dilutes ‘capacity’, to ’substantial difficulty’ in being involved in decisions. As assessments are routine, they are based on age, or label, and therefore MCA illegal, but who, or, how, could anyone complain? This approach is highly discriminatory, and, marginalises, and stigmatises certain groups of people, by questioning their ‘decisions’, and, removing their right to make them. The state can then enforce any care, and medication, they want. 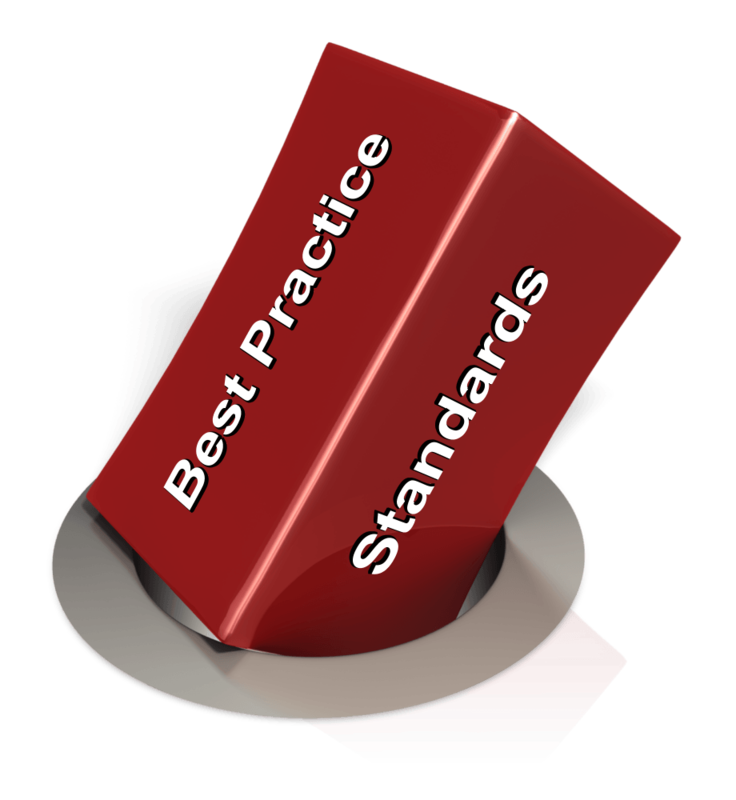 For those living in residential care, rather than for emancipation, the MCA is being used, to justify tick- boxed regulation, and unchecked, perfunctory at best, standards of ‘care’, and, defend practioners. The Supreme Court decision Cheshire West  UKSC 19, graphically illustrated, how functionally unworkable the MCA is, in relation to the many deprivation of liberties, that take place daily, in private care. And caused a bureaucratic nightmare, which will do nothing to empower the vulnerable, but simply increases the box ticking of already overburdened, understaffed, underpaid care workers. It has been translated operationally, to a Review of the Care Provision annually of the Deprivation of Liberty Safeguards with a Relevant Registered Person, who is generally not a family member but similar to an IMCA trained and appointed by a charity, but paid for by the state and the Adult Services. Most Care Providers have computer software to deal with the matter as part of their ‘best interests’ check list. As, with deprivation of liberties, any attempt to actually apply the Act, to the myriad of individual daily decisions, in residential care, as is required by the Act, would also be functionally impossible, particularly, in our, all for profit, zero hour care factories. Usefully, the court practice is to remove a person’s capacity to make all future decisions, despite this being illegal under the MCA. This assessment, to add weight to it will often be by a psychologist, pursuant to section 48 MCA. And a s48 MCA application is granted to the LA on merely showing they suspect a person incapable. These are not decision specific, and, other than for LA funding, often, need not be made, so illegal under the MCA. As mentioned in the post, ‘Standard Capacity Assessments Stephen Hawing would fail’, the standard LA assessment, is also apparently illegal. And, does nothing to maximise capacity, other than tick a box on ease, comfort of circumstances, and, appears not to encourage joint decision making. We have no figures of how many, if any, pass the capacity test. If an assessor, were to find a person capable, he is proving his pay master LA, who suspected incapacity, and, applied to court, wrong. The standard Record of Assessment, will also certify, that a person, is unlikely to regain capacity, condemning him, to never, being allowed to make a decision again. Providing care providers, with a blanket incapacity assessment for all future decisions, again illegal. Worse still, capacity, appears to be being equated with sentience. As shown in Cheshire West judgement. Where the court of appeal, and minority of the Supreme Court, held that a person can only be deprived of his liberty, if he has the capacity to understand and object to his situation, ie be aware of it. ’ An unconscious or sleeping person may not know that he has been locked in a cell, but he has still been deprived of his liberty. A mentally disordered person who has been kept in a cupboard under the stairs (a not uncommon occurrence in days gone by) may not appreciate that there is any alternative way to live, but he has still been deprived of his liberty’. Care workers are encouraged to believe, these very vulnerable scared lonely people with communication issues are actually incapable of any awareness or feeling. The state is now allowed by the subversion of the MCA, to create the perfect commodities.